One-size-fits-all approaches rarely helps your needs in the oilfield, at a construction site, or other industrial situations. We deliver custom solutions, tailored to you--your location, your requirements, your one-of-a-kind challenges. Titan Solutions offers oilfield and surface rental equipment through our own inventory of equipment – and acts as a facilitator/project manager of equipment through a network of affiliate providers. Titan Solutions provides required lighting for night time operations, safety, and convenience. Titan Solutions professionals always begin with inspection and safe behaviors providing clients with the right equipment when and where it is needed the most. Put out-of-reach places back into reach with a boom lift from Titan Solutions. Our well-maintained telescopic boom lifts provide safe access to jobs that require working off the ground. We rent a wide variety of sizes to accommodate your needs, 45 feet being the smallest in our stock and 130 feet being our largest. Telehandler rental sizes range from 6K to 12K. Titan Solutions also offers grapples with this rental. Single-source provisioning services simplify the procurement and rental processes for our customers. Our team of professionals have decades of experience both at the desk (costs) and in the field (quality) to provide customers with the equipment they need – when they need it. Titan’s front end loaders can include both a bucket and forks for whatever your job requires. For small to medium jobs--we have skid steer track loaders to fit your needs. 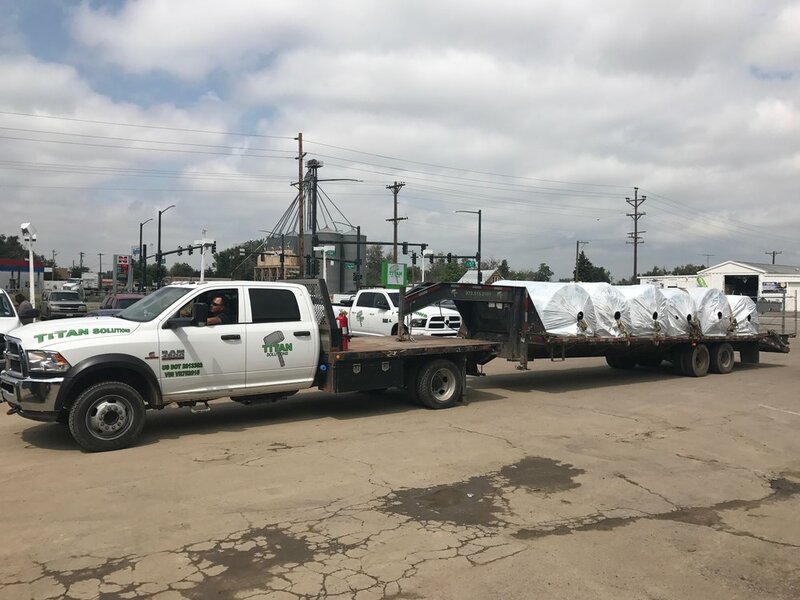 Along with Titan renting out the best surface equipment in the business, we provide the best service to you and your company with our hauling services.